Praise the most notable players of the year. See the current year player standings. Check out game report history. As you probably know Gamespy shut down its services in 2013 which has emptied the ingame server browser. 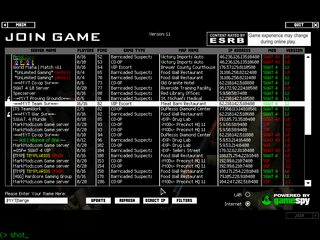 swat4stats.com now provides its own master server for both for players who want browse servers ingame and server hosters that want their servers appear in the list.